Fitting a visit to Uluru into an Australian coaster trip is not easy, especially when the trip originates in Europe and is constrained by an absolute time limit of two weeks. The key problem is limited flights into the nearby airport, with only a handful each day, none of which operate from Western Australia. Scheduling difficulties were the main reason why I passed (or should that be flew?) over the rock on my first trip Down Under seven years ago. It was tempting to do so again, but after some discussions (i.e., Megan insisting we do nature things for once) we decided to sacrifice a bit of time in Sydney in order to make a stopover work. The best approach seemed to be a direct flight from Perth to Alice Springs, an easy (if frightfully boring) four hour drive from the national park. While a good idea on paper, we were hit by a nasty surprise when we tried to rent a car; in addition to the semi-expected one way drop off fee, each vehicle was granted a maximum of one hundred free kilometres per day of rental. 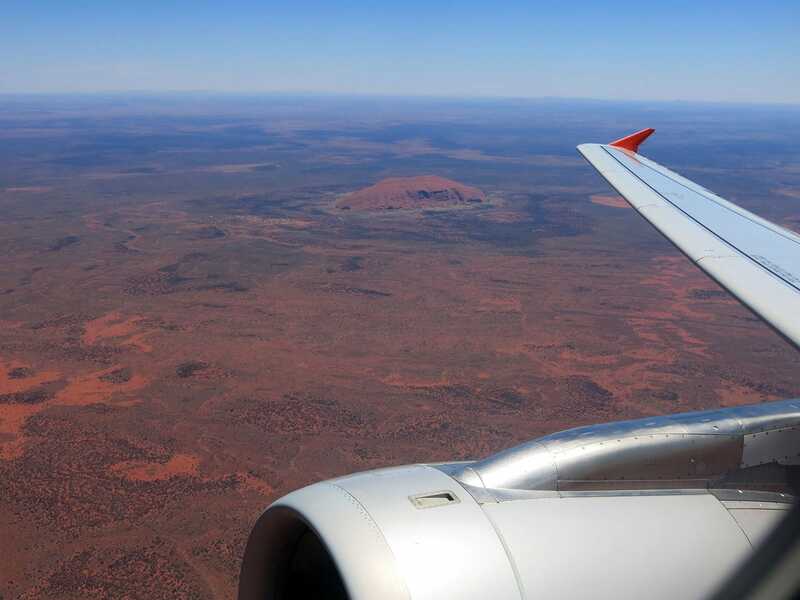 We took the time to get quotes from the three companies operating at Ayers Rock Airport – namely Avis, Hertz, and Thrifty – and found no significant difference between their prices. There was no additional allowance made for the fact that Ayers Rock is approximately 450km from Alice Springs. As a result, our two day rental came to approximately $700, which was in all likelihood the approximate value of the eight-year-old Mitsubishi Pajero that we were given, thanks to a large dent in its roof that suggested a previous encounter with a marauding rhinoceros. To add insult to injury, the Yulara Resort was hideously expensive and lacking in services. As we didn’t feel like camping we decided to stay in the cheapest available hotel, which came in at the bargain price of $350 per night, not including breakfast. For this price we were given a room in a standalone block three minutes walk from check-in that smelled strongly of mould and damp, an impressive achievement in such an arid climate. None of the food outlets in the shopping area were open in the late part of the afternoon, and the only fuel station in the area charged almost twice what we’d had to pay two days earlier in Perth. 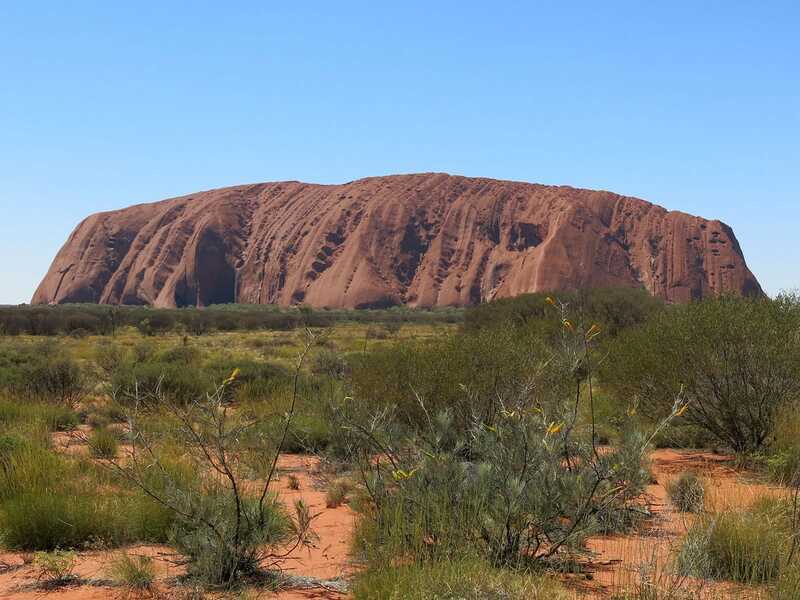 All of the above could be forgiven for a once-in-a-lifetime experience of a spectacular natural wonder, but to be honest, the overall experience of Uluru and Kata Tjuta was disappointing, and not one that I could in good conscience recommend. 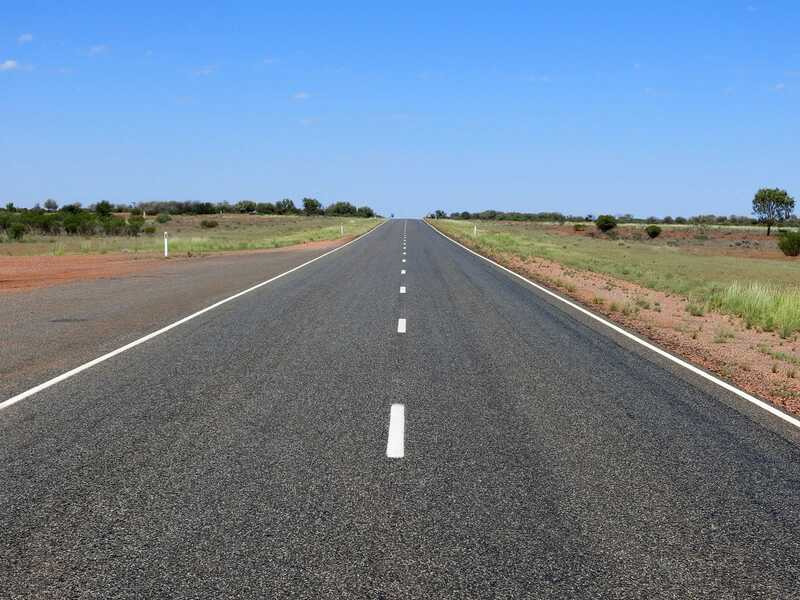 Our first sign of something akin to Ayers Rock came from eighty miles away as we cruised down the Lasseter Highway. We took a few photos anyway before we realised that we’d found Mount Conner instead. It was half an hour later when the actual rock came into view, and it was certainly an impressive sight, towering over the landscape and gleaming in the midday sun. The view got progressively better as we approached, with a particularly spectacular angle just outside of the park itself. However, we quickly realised that the day was going to be an endurance contest due to the enormous number of flies. The high temperature (a max of 43° during our visit) was oppressive but tolerable for short periods. The constant aerial bombardment wasn’t, with the ghastly creatures descending en masse every time we stepped out of the car. Megan complained about them constantly getting in her ears; in my case the preferred location seemed to be my nostrils. The insect repellant we’d brought with us proved entirely ineffective against the onslaught, and the only effective solution, wearing a net, was impossible to arrange at short notice. Rather than subject ourselves to this torment we elected to drive slowly around the base of the rock, stopping at convenient points both to admire the structure and take photographs from the car window. We then drove on to Kata Tjuta, or as we thought of it, the “auxiliary rock”. This sight was equally spectacular to behold, being somewhat more dramatic than its more famous neighbour, but after half an hour there we’d seen all that there was to see. We relocated into the designated Uluru viewing area about an hour before sunset, and watched as the light began to change. While pretty, it honestly wasn’t that exciting; the overall effect could have been simulated in a few seconds using the brightness filter in Photoshop. While some readers may cry sacrilege at this observation, some bloggers have described the view as magical, which, to be honest, it wasn’t; it was simply the sky getting darker. The sunrise the next morning was in a different league, however; from the viewing deck at Talinguru Nyakunytjaku we were able to watch the rock gradually come into view over a thirty minute period, followed in spectacular fashion by the sun striking the rock and clearly moving across the tops of trees. The quality of the experience was borne out by the fact that there were at least three hundred other tourists watching despite the ungodly hour. The park rangers seemed very good humoured, helping people with photographs and providing light amusement along the way; Ladies and Gentlemen, I collect cups. Would anyone like to make a donation? We returned to our hotel for breakfast and check-out, and found ourselves with about an hour to spare before we needed to go to the airport. Megan suggested that we should try a little bit of the Mala Walk, and we made it about ten minutes up the track before the flies overwhelmed us. An altogether better plan seemed to be a visit to the Cultural Centre, though sadly this proved to be a waste of time, consisting largely of wall mounted placards containing information that could be found in much more detail in any encyclopaedia. One set told elaborate stories about certain marks on the rock (legendary duels et al) but included no pictures to allow readers to connect individual stories with specific images. Another set spoke in very outline terms about Anangu history, speaking of various rituals but including no detail, advising that their laws did not allow revealing of information to the uninitiated. My overriding impression of the place was that it existed only to say that we’ve got lots of interesting stories but we’re not going to tell them to you, which felt gratuitously insulting at such a major tourist attraction. It would be remiss of me not to conclude with a brief note about Ayers Rock Airport, a remarkably quaint facility with two gates, one shop, one small cafe, and an airside area that might seat two hundred on a good day. We’d obviously arrived at peak time, as there were two flights checking in simultaneously. As our flight took off we were treated to one final view of the rock, and we watched as it disappeared over the horizon.